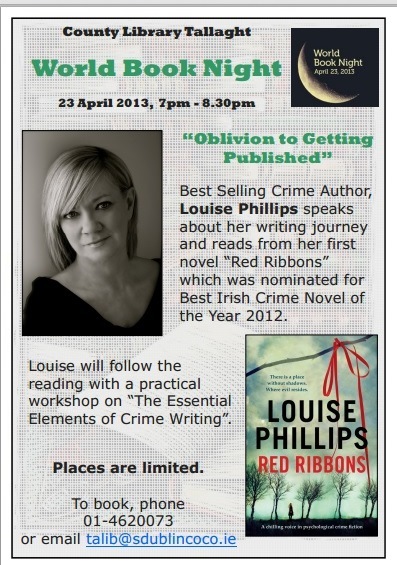 Louise Phillips Writer: World Book Night Reading & Workshop at Tallaght Library - Get booking!!! Yay! Have a brilliant night!